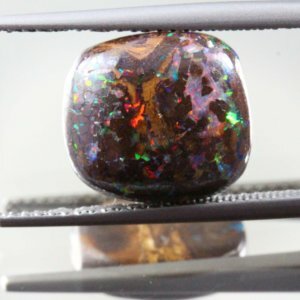 The Queensland Boulder Opal and Matrix Opal are beautiful specimens ready for students and collectors. 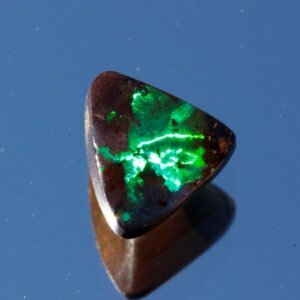 They are from the Big Red mine located in outback Queensland, 180km west of Longreach. 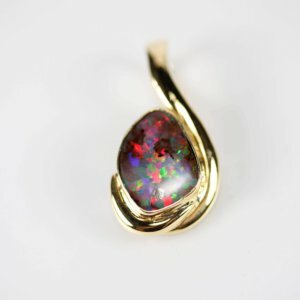 Boulder Opal is naturally occurring and the precious opal is found within the seams in ironstone and sandstone boulders. 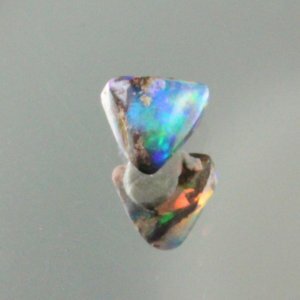 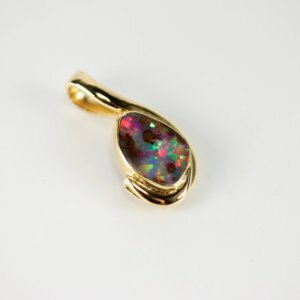 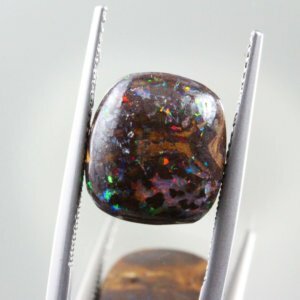 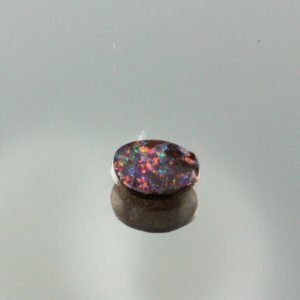 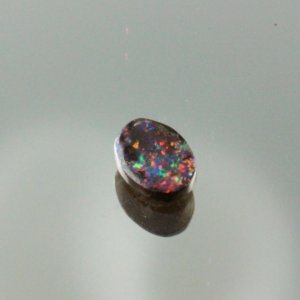 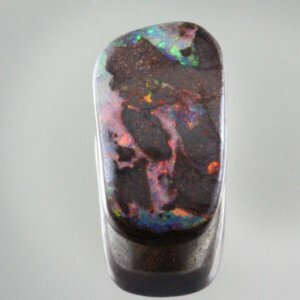 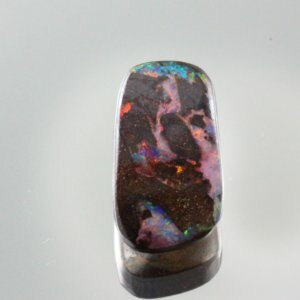 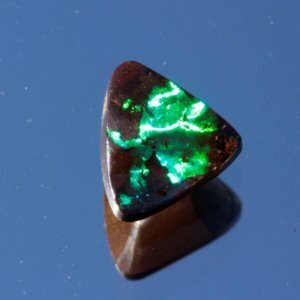 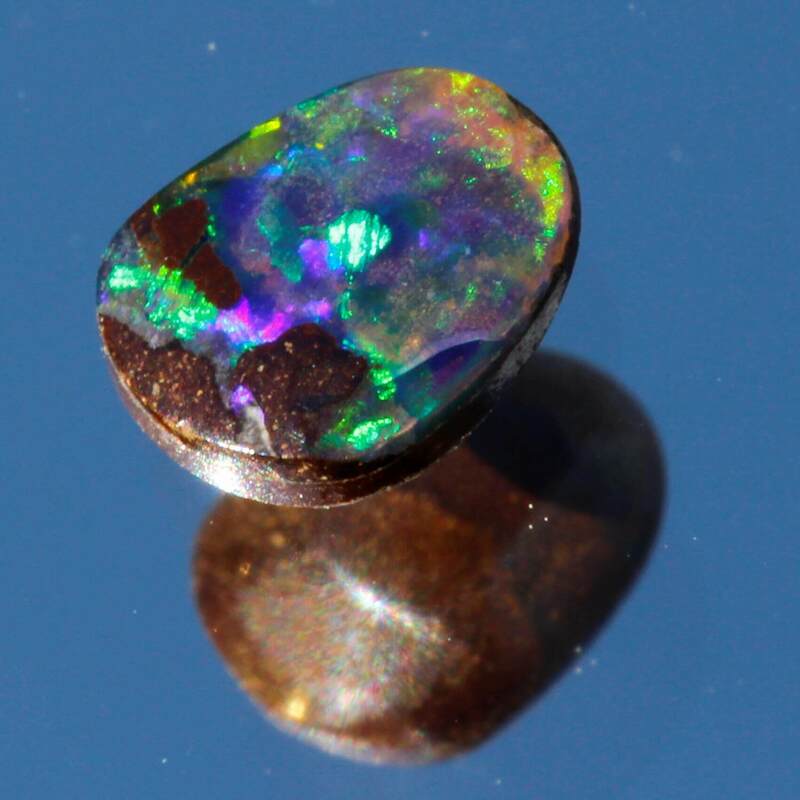 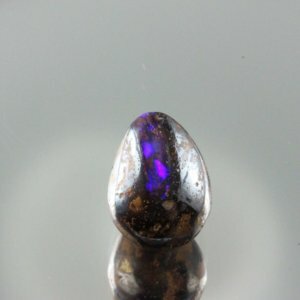 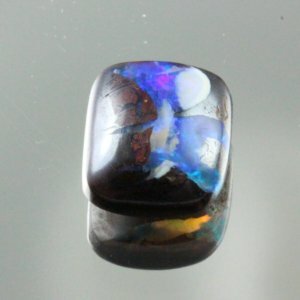 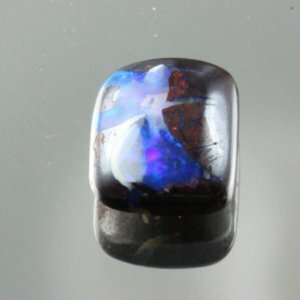 Matrix opal is where the precious opal is dispersed through the ironstone. 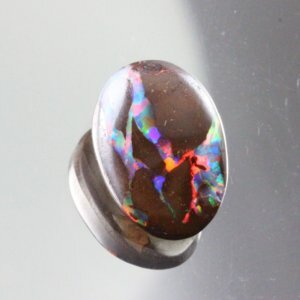 Both forms are termed solid opal. 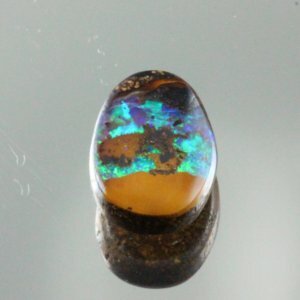 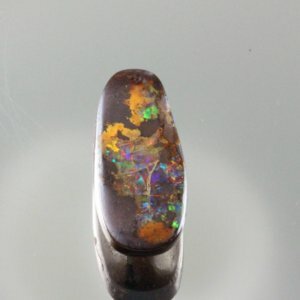 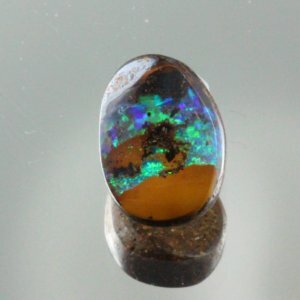 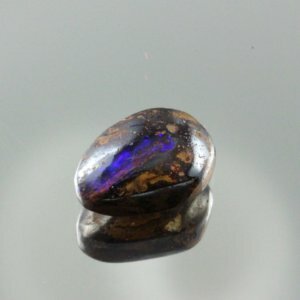 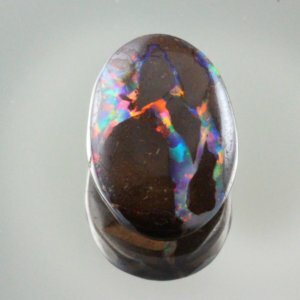 Buy Australian boulder opal at the lowest price online from Gemsets. 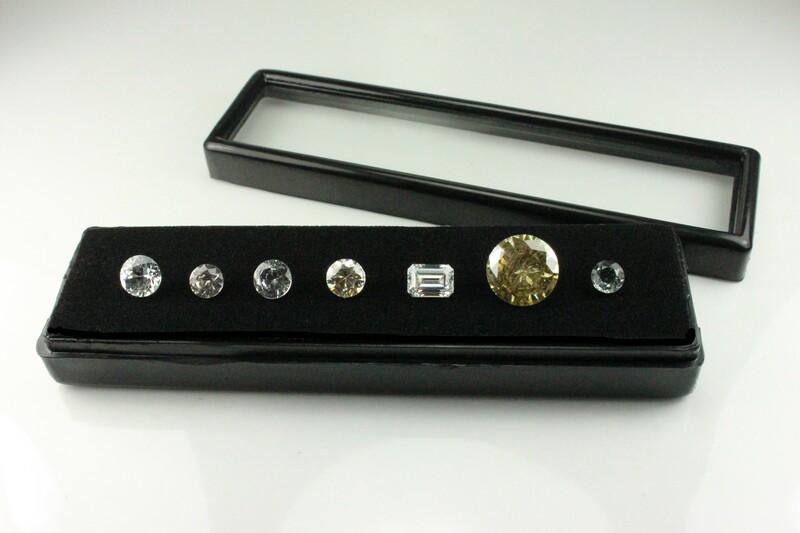 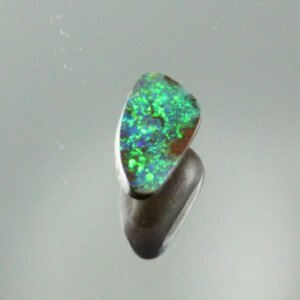 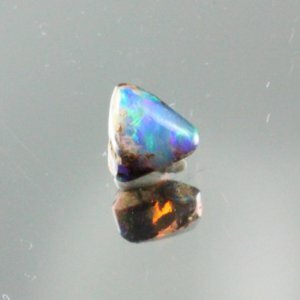 All of our opals is cut exclusively by a master opal cutter with more than 50 years experience in cutting opal and he is also a world-renowned Gemmologist with published papers in The Journal of Gemmology. 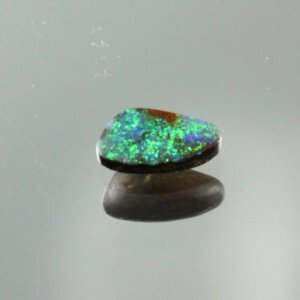 Photos just cannot do these beautiful opal specimens justice. 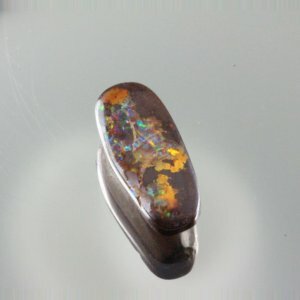 Pendant: 2cm long x 1.2 cm wide.